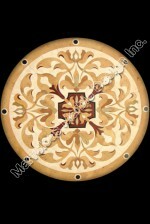 water jet cut marble flooring | round marble medallion 36"
Whether you just want to add simple elegance into your custom built home or you simply want to take your luxury home to a whole new level, the Lombardi water jet cut marble flooring is right for you. 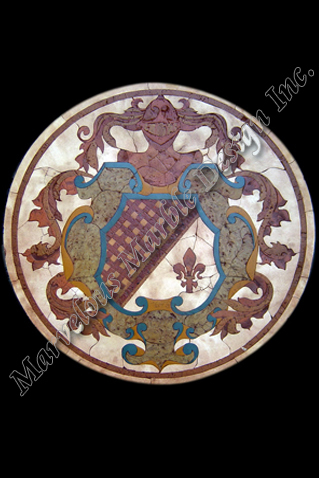 The flooring design is named after great Italian men and true to its name, the marble flooring does not fail the test. Lombardi, the marble flooring is as great as the men. Well, it cannot compare favorably against these great men, but then it does so well, in what it does. This marble flooring brings together Spanish styling with Italian artistry. 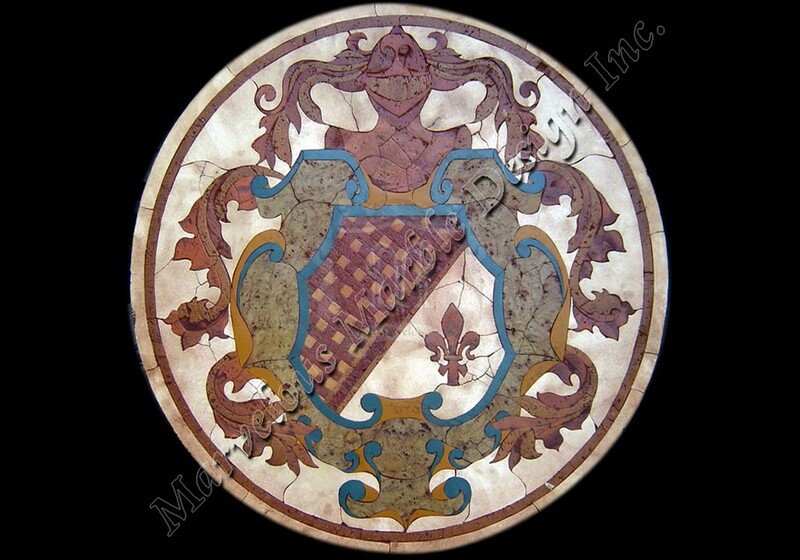 Oh no, it brings together more than just styling and artistry, the stone used here is also Italian. The Lombardi is sculptured from the very best of Italian marbles. Do I need to tell you that Italian marble is the best in the world? I guess you already know that. Italian suits, Lamborghini and Ferrari on the other hand are popular all over the world. Like the suits, Lamborghini and Ferrari, the Lombardi brings you the same finesse in Italian artistry. The colors on the flooring are absolutely awesome and incredible. The use of these colors always works well in creating a relaxed feel in your home. If you are tired and bored by the old, rather ordinary marble flooring designs, get this sparkling flooring design for your space. Crafted in a bold circular shape, the floor design is better suited for a large room. However, it also works magic in small rooms where a look and feel of largesse is required. Combining this Italian marble flooring with modern style white walls is an excellent way to add elegance in your custom built home. You can install this flooring in any room of your choice. Apart from the visual appeal that this flooring brings, it will prove to be advantageous in your home for several reasons. First, the marble is renowned for being hardy and fireproof. This is great because it means that you will be getting a long lasting product. Its fireproof qualities are important especially if you install the flooring in your kitchen where high temperatures are the norm. In addition, the marble makes it easy for you to add uniqueness in your home to create a social focal point. 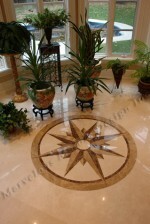 The Lombardi water jet cut marble flooring has a unique flare with its standard dimensions being 36 inches, 48 inches, 60 inches and 72 inches. This perfectly lined marble flooring can also be custom made to fit any space in your luxury home. The thickness of this piece can also be trimmed and customized. To learn more about the Lombardi water jet cut marble flooring, call our design professionals at 1-888-272-0630.